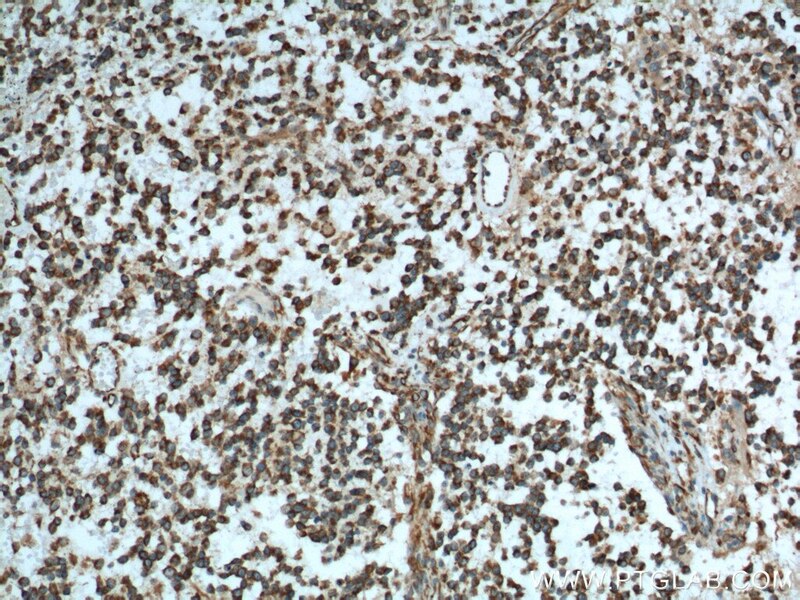 Immunohistochemical analysis of paraffin-embedded human gliomas tissue slide using 66259-1-Ig (Nestin antibody) at dilution of 1:500 (under 10x lens). 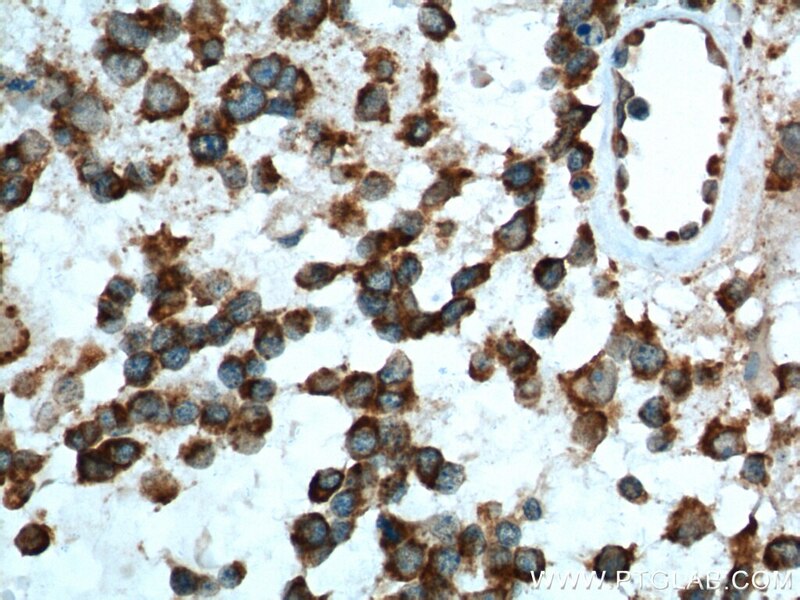 Immunohistochemical analysis of paraffin-embedded human gliomas tissue slide using 66259-1-Ig (Nestin antibody) at dilution of 1:500 (under 40x lens). Nestin, also named as NES and Nbla00170, is a class VI intermediate filament protein expressed in stem cells of the central nervous system (CNS) but not in mature CNS cells. Its expression is used extensively as a marker for neural lineage cells derived from human embryonic stem (hES) and induced pluripotent stem (iPS) cells. Nestin is also expressed in non-neural stem cell populations such as pancreatic islet progenitors and hematopoietic progenitors. Differential Epigenetic Effects of Chlorpyrifos and Arsenic in Proliferating and Differentiating Human Neural Progenitor Cells. Expression and distribution of three transient receptor potential vanilloid(TRPV) channel proteins in human odontoblast-like cells. Expressions of nestin and glial fibrillary acidic protein in rat retina after optic nerve transection. Characterization of 3D embryonic C57BL/6 and A/J mouse midbrain micromass in vitro culture systems for developmental neurotoxicity testing. In Vitro Neural Differentiation of Bone Marrow Mesenchymal Stem Cells Carrying the FTH1 Reporter Gene and Detection with MRI. Ras homolog family member A/Rho-associated protein kinase 1 signaling modulates lineage commitment of mesenchymal stem cells in asthmatic patients through lymphoid enhancer-binding factor 1.